Las Vegas marijuana lab testing is essential for the industry to maintain its reputation in Nevada. While Nevada went through a trial and error process in the beginning, and there are certainly some details on testing cannabis for microbials and heavy metals that need to be worked out, Nevada cannabis is pretty clean relative to other states like California and Michigan. The Michigan marijuana market is still in its infancy with medical marijuana only a couple of years old and the rules for the sale of adult-use marijuana yet to be implemented. In the meantime, there have been a number of medical marijuana recalls in Michigan due to contaminated cannabis. The state’s actions met backlash from every state-licensed lab in Michigan. The Michigan Coalition of Independent Cannabis Testing Laboratories, as well as two provisioning centers; five processors; two secure transporter companies; growers BlueSol Biomedical, Pure Green and the two biggest growers in the state — Green Peak Industries and VB Chesaning — sent a letter to regulators Jan. 18 urging them to change their minds. 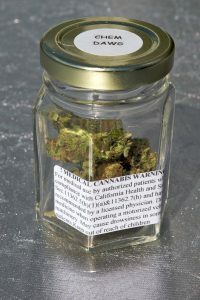 “Michigan’s most vulnerable patients are buying purported medical cannabis products that could legitimately harm them,” wrote Ben Rosman, CEO of PSI Labs, in the letter sent on behalf of the lab coalition. Marijuana needs to join other mainstream industries and in order for that to happen products standards need to be consistent across the country eventually. So far, each state that has legalized marijuana sets its own rules about marijuana lab testing as to what should be tested and what is permissible. If the cannabis industry wants to prove that it belongs in the same conversation as the alcohol or snack industry, product standards need to be consistent for the sake of consumers.